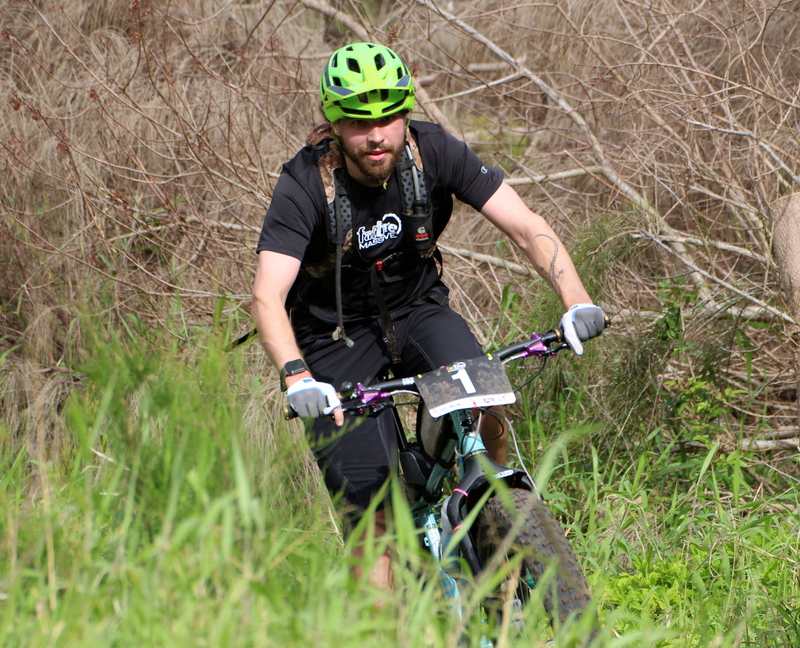 The 2018/2019 Bermuda Bicycle Association’s Fat Tire Massive Mountain Bike Race Season sponsorship of Arch Re, BF&M, One Communications, RMS Boatworks and Spar Yard Marine Solutions continued with action taking place at Southlands Park. Adam Kirk won the Male Open race clocking a 7 lap time of 1:06:31.267, Jeff Currie from New Brunswick, Canada was second in 1:08:03.587 and Han Hirschi finished third with a time of 1:08:04.850. Manning Smith rode to victory in the Male Novice Division with a time of 32:59.968 after 4 laps, Sherman Darrell was second in 35:58.086 and Mathew Ringer finished third with a time of 37:48.659. Zina Jones won the Female Novice Division clocking a 3 lap time of 33:46.729, while Jessica Gibbons finished one lap down in second place clocking 35:45.559.